Design cranes, material handling equipment and other devices in Solidworks. The qualified candidate will be working in a structured 3-D environment where sharing models between engineers is the norm. Ability to design mechanical drive systems and perform initial sizing calculations to properly apply motors, gearboxes, couplings, and other mechanical components. Must be detailed oriented and be able to precisely follow customer specifications and industry codes from many different countries. Properly annotate drawings with AWS D1.1 weld symbols, ANSI machining symbols and other standardized signs to clearly illustrate your design for the customer and our manufacturing facilities. Develop Bills of Materials (BOM) to itemize all the components of the mechanical design. Be able to work in a collaborative design with other disciplines to facilitate our turn-key projects, including electrical, structural, civil, installation crew, etc. Perform design changes to existing equipment (modernization projects) for customer that want to upgrade their material handling devices. Provide phone support and technical assistance when asked by our installation crew or customers. Develop detailed technical specifications and procedures for customer use. 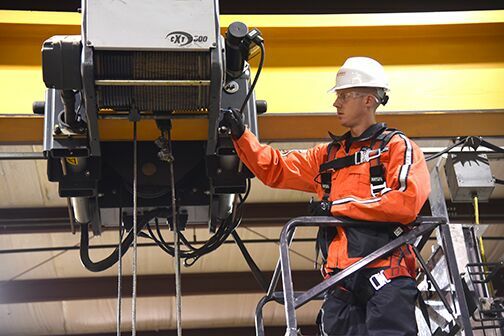 Perform optimization of bridge girders, trolleys and other crane components by working in an interactive Team environment to reduce costs and improve delivery schedules. Must be self motivated, display leadership abilities, have knowledge of ASME, AISC and CMAA. Must have a minimum of a Bachelor in Mechanical, Structural or Civil Engineering. Must have a minimum of five years of related experience plus be computer literate in Excel and Word. 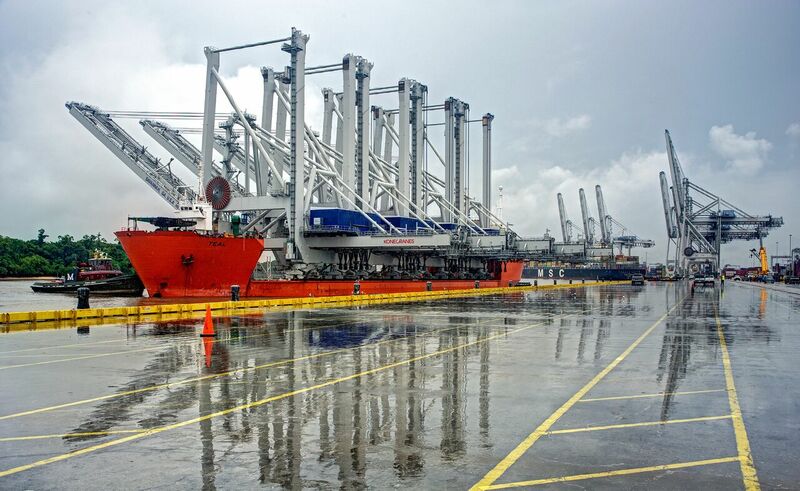 It is a requirement the applicant knows Solidworks or Pro-E.
Konecranes is a world-leading group of Lifting Businesses™, serving a broad range of customers. We are truly a global company with 16,000 employees at 600 locations in 50 countries. For over 80 years, we have been dedicated to improving the efficiency and performance of businesses in all types of industries. We believe that sustainable growth is a result of a strong responsible performance. .
Konecranes is a world-leading group of Lifting Businesses™, serving a broad range of customers, including manufacturing and process industries, shipyards, ports and terminals. Regardless of your lifting needs, Konecranes is committed to providing you with lifting equipment and services that increase the value and effectiveness of your business. Our long history in lifting businesses For over 80 years, we have been dedicated to improving efficiency and performance of businesses in all types of industries. And we have done this by continuously providing lifting equipment and services people can trust. 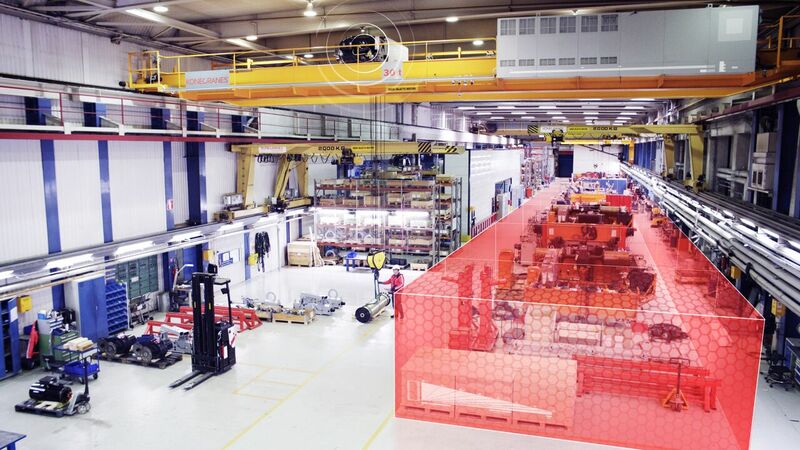 When you choose Konecranes, you acquire a unique source of global experience and knowledge combined with local know-how to empower your lifting solutions and increase your safety and productivity.